A club sport at Marshall University can be defined as any voluntarily organized group of Marshall students, faculty, or staff that wish to pursue competition in a specific sport involving physical skill. Club sports are often associated with their own sport governing bodies or leagues that help them to compete against other collegiate clubs or outside teams, but are not regulated by the National Collegiate Athletic Association (NCAA) or National Association of Intercollegiate Athletics (NAIA), and do not have varsity status. 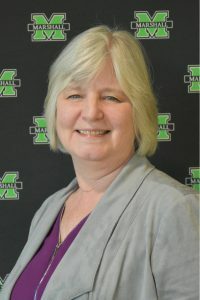 Each club participant is responsible for representing Marshall in a positive manner by adhering to all University and Campus Recreation policies. Each year thousands of students participate in a variety of sports, leagues and divisions offered through the Marshall University Competitive Sports Program. Our program strives to provide students with a variety of recreational opportunities that allow them to engage in healthy competition. Whether you’re a gifted athlete or just want to play for fun, intramurals are a great way to get involved in recreation!